Finish Guard™ Heavy Duty Floor Protection and Wall Protection Film provides durable Fire and Flame-Retardant Damage Protection to floors, Walls, Countertops and more. Much more durable than paper and cardboard; and, Finish Guard™ meets NFPA 701-04 (2004) Fire and Flame-Retardant Standard. 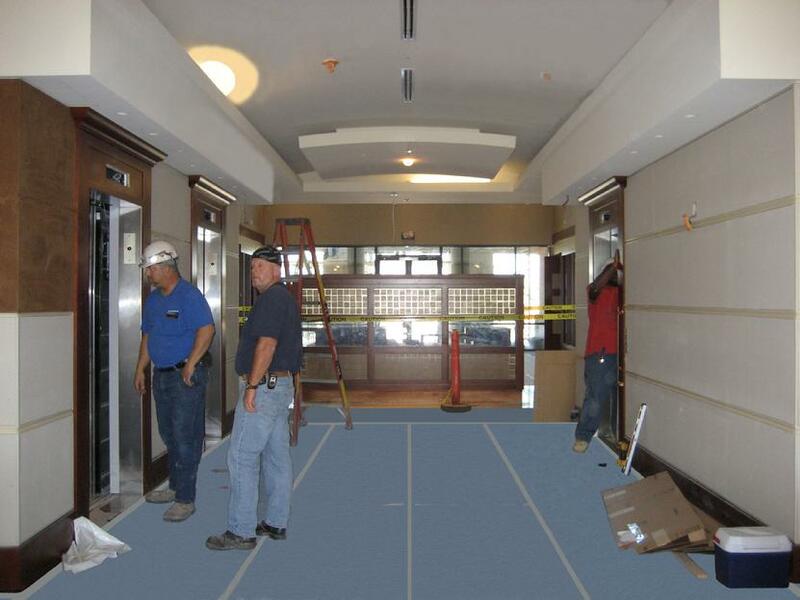 The following job illustrates protection of a resilient tile (VCT) floor covering installation. 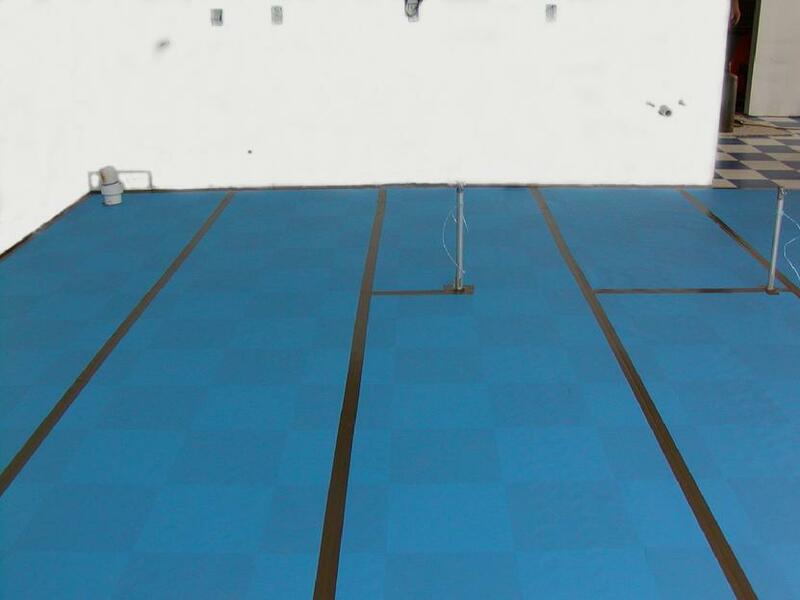 Finish Guard™ Heavy Duty Floor and Wall Protection Film is available in rolls, either 36” x 150’ x 14 mils thick or 36” x 100’ x 30 mils thick. 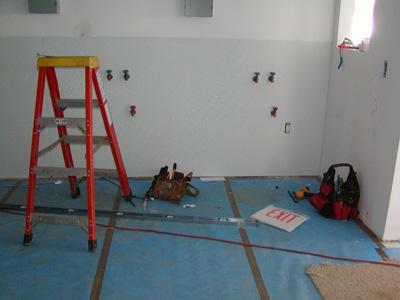 It is easily rolled out over damage–prone surfaces, and taped into place with wear-resistant ASTM Specification tape. 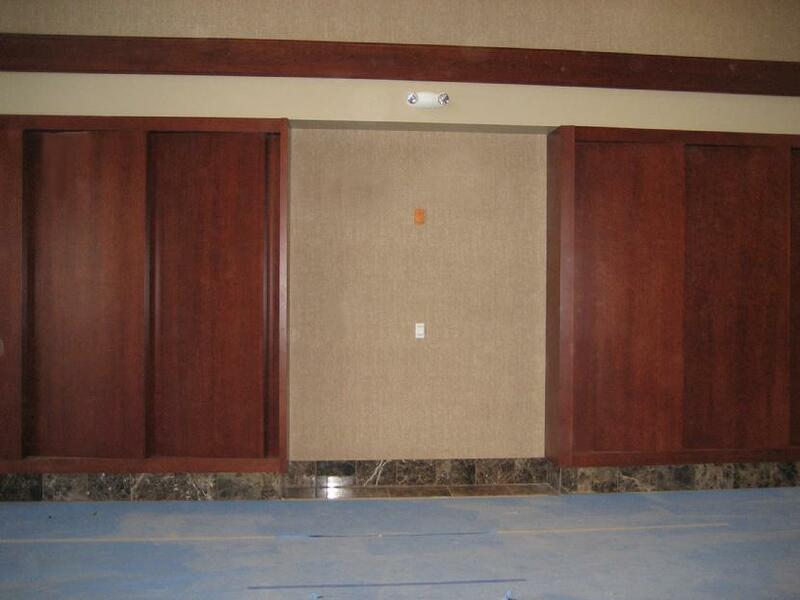 It is commonly referred to as floor protection, floor protection film, floor film and floor cover. 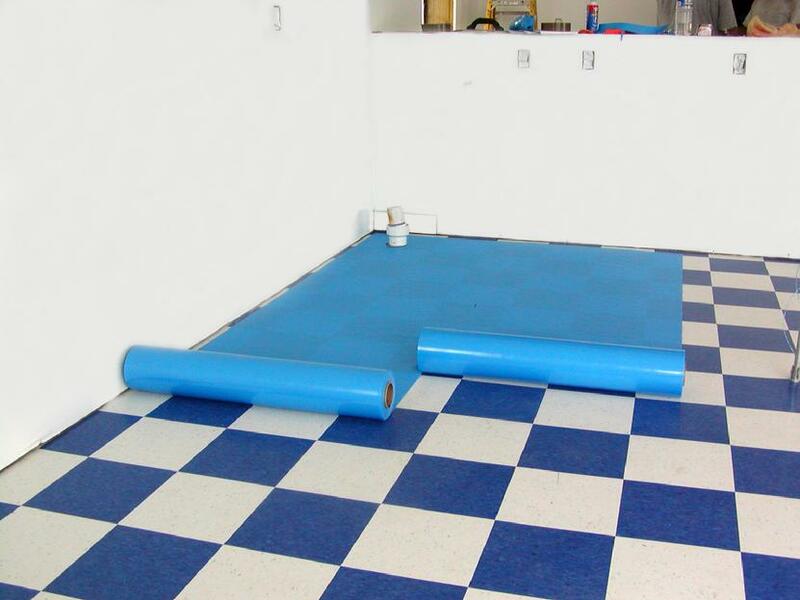 Finish Guard™ Heavy Duty Floor and Wall Protection Film is used to protect ceramic tile, hardwood floors, resilient floors, walls, countertops and more.